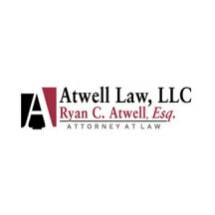 At the Law Office of Ryan C. Atwell, I take pride in providing practical, cost-efficient and results-focused representation to clients in Easton and throughout the surrounding cities of Maryland. As a solo practitioner, I am able to offer personal, one-on-one guidance to clients. If you choose to retain me as your lawyer, you can count on working with me directly from the beginning to the end of your case. I am highly accessible and make communicating with clients a priority. I am a local Maryland attorney who grew up on Kent Island. I have strong ties to the community and a deep understanding of the people, the laws and the courts in this area. Today, I serve clients throughout the Eastern Shore. Call my Easton law firm at 410-443-0403 to schedule a free initial consultation about a motor vehicle accident, a child custody concern or an issue involving any other area of practice.